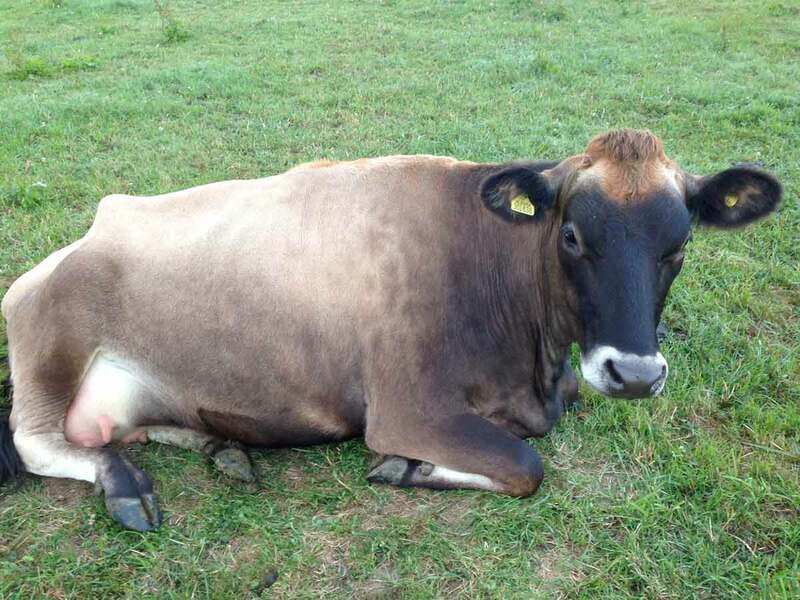 Caption: Queenie – The Queen’s cow. When Dorset farmer, Jon Stanley, received a cow as part of the celebration of the Queen’s Diamond Jubilee in 2012, he didn’t know she would become a supermoo-del and get all the attention she deserved on International Cow Appreciation Day (10 July). Jon Stanley, a tenant on a farm owned by Dorset County Council, was given the cow as part of the celebration of the Queen’s Diamond Jubilee in 2012. Jubilee Action Ceres (Queenie) joined the farm in the summer of 2013 as a heifer. She has since had four offspring, one of which is still on the farm – a bull called Namaste Impression Ceres Hardy (Hardy). During the last five years Queenie has also been a prolific milker. Jon said, “I suppose you could call Queenie a supermodel. She has been classified as Excellent 92. This means that she is close to the ideal for a Jersey. She is a bit of a looker.” Quite a compliment on cow appreciation day. Jon’s parents and grandparents were tenant farmers and he worked in agriculture until Dorset County Farms gave him the opportunity to run his own farm. He has been farming in North Dorset for eight years and now runs a dairy herd of 190 spring calving cows.